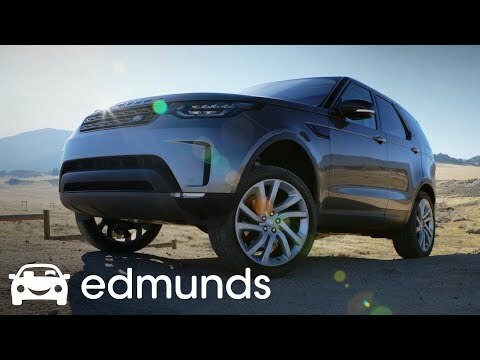 The all-new 2017 Land Rover Discovery replaces the LR4, the British automaker's 3-row, 7-passenger SUV. The Discovery has softer looks but retains serious off-road capability and now offers a stout diesel engine. Road manners, technology and overall refinement are all vastly improved. It's costlier than rivals like an Acura MDX, but few blend on- and off-road manners like a Discovery. The all new Discovery is very disco! I ordered the 2017 All New Discovery and was very excited about it. In general, it rides really well, has an enormous amount of torque for towing and is very comfortable. I definitely feel like it will go wherever I need it to go. I have the turbo diesel so the fuel economy for an suv is excellent! Overall I really like my Discovery, but as it is the first model year, there have been a number of glitches with the electronics. They have been able to address many of these glitches with software updates so I expect the rest will be ironed out as well. Luxury vehicle with some unfortunate cheap, plastic details. The discovery drives fun and smooth. I am short and I love the shape of the windshield and height of the car. It is not great on gas and requires the expensive premium gas. There are things that are cheaply made in the car, plastic pieces on seats and doors, even the covers on the light, very cheap quality for a luxury vehicle. It is all wheel drive and has navigation. My 2017 land rover discovery has been a comfortable and reliable vehicle for me for almost 2 years now. It rides smooth and I have never had any issues with it. I drive it everyday to and from work and its been on many long distance vacations with no issues.